Recorded by Kevin Bernsten at Developing Nations (Noisem, Genocide Pact, Full Of Hell), Neolithicwas mastered by Brad Boatright at Audiosiege (Integrity, From Ashes Rise, Vastum) and completed with artwork by Justin Stubbs (Encoffination, Father Befouled). The EP also features noise contributions by Dylan Walker (Full Of Hell) and Kevin Bernsten. While a newly-formed act, 2018 saw NEOLITHIC release a split 7″ EP with Sweden’s Martyrdöd, which was followed almost immediately by their Cult Of Ignorance EP, both titles released back-to-back through Deep Six Records. With the dust now settling from last year’s double-hit, the band returns with Neolithic. 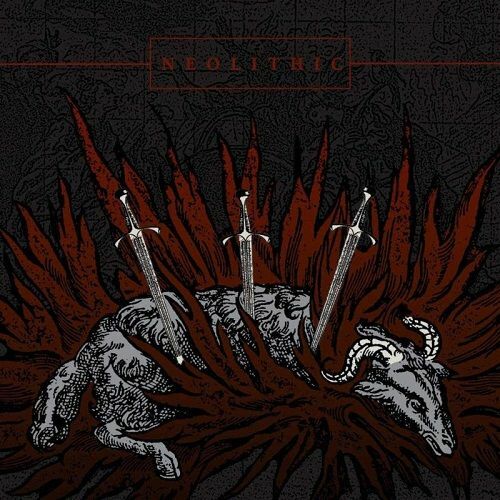 The newer NEOLITHIC material sees a band refining its attack, honing the nuances; the NeolithicEP’s tone more tempered, brooding, and gnarled than prior releases. With contempt and resentment coursing through its entirety, Neolithic delivers five new tracks from the ominous quartet.